Multi-award-winning, New York Times best-selling duo Mac Barnett and Jon Klassen deliver the final wry and resonant tale about Triangle, Square, and Circle. This book is about Circle. This book is also about Circle’s friends, Triangle and Square. Also it is about a rule that Circle makes, and how she has to rescue Triangle when he breaks that rule. With their usual pitch-perfect pacing and subtle, sharp wit, Mac Barnett and Jon Klassen come full circle in the third and final chapter of their clever shapes trilogy. Mac Barnett is the author of numerous books for children, including five illustrated by Jon Klassen: Square; The Wolf, the Duck, and the Mouse, an E. B. White Read-Aloud Award winner; Triangle; Sam and Dave Dig a Hole, an E. B. White Read-Aloud Award winner and a Caldecott Honor Book; and Extra Yarn, which received a Caldecott Honor and a Boston Globe–Horn Book Award. Mac Barnett lives in California. 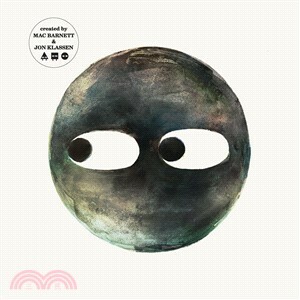 Jon Klassen is the author-illustrator of I Want My Hat Back, an E. B. White Read-Aloud Award winner and a Theodor Seuss Geisel Honor Book; This Is Not My Hat, winner of the Caldecott Medal and the Kate Greenaway Medal; and We Found a Hat. He is also the illustrator of two Caldecott Honor books, Sam and Dave Dig a Hole and Extra Yarn, both written by Mac Barnett. Jon Klassen lives in Los Angeles.